Wondering what to wear to the Cheltenham Festival? This complete guide to Cheltenham Festival fashion will have you dressed to impress, but more importantly dressed for the weather. It can we bitterly cold at Cheltenham in March and conditions underfoot can be softer and muddier than you first anticipate. This handy little guide will keep you informed with the latest fashion advice and inspire your track-side attire. Old boy wearing a cap he’s owned for 40 years, young lad earning his stripes in the ways of the horsey set or hipster from the city unsure whether he’s wearing it ironically. Doesn’t matter who it is, though – the tweed cap works, so just join the party. Absolutely de rigueur at Twickers, of course, but the Barbour jacket is plenty country enough too. An excellent alternative to tweed, if you don’t want to overdo said look – although why you wouldn’t want to is frankly beyond us. A must for racegoers keen to see the horses fly down the remote back straight. The proliferation of huge screens around the course means you’ll never actually use them, but that shouldn’t stop you wearing them round your neck all day anyway. Straight from Putney, a well-tailored pair in a colour you would never normally wear. Mustard is a decent shout; otherwise, bright red, even brighter blue or purple will suffice. Doesn’t matter if you like Guinness or not – it’s everywhere. Throwing down an early pint doesn’t just settle the stomach for ahead of a busy day; it also establishes you as a man who is meant to be there. The horsey set can get away with wearing whatever they want on their feet, largely because they were up at 5 am and you weren’t. If you want to smarten up though, brogues are the pick. With a nice shine, if you have the energy to work one up. Also an option for the gentlemen, but the reality is this: every single woman on this planet looks better than every single man in an equivalent hat, and you know it. That means you get first choice, ladies – and that means you get to choose the fedora. Under regulation tweed is where you have a real chance to dazzle. So get involved with pink cashmere. Any bright colour will work, but going for pink or red enables you to accessorise with matching lipstick. Seriously. The polo groupie look – white jeans, navy blazer – is popular, but this is about going all out. Enter the full-on tweed two-piece suit, with skirt to match jacket. There is nowhere else on earth you will wear it, which means you can recycle it every ruddy year. Strolling around with a copy under your arm is a definite yes. Very important point: if the horse you back actually wins, you are expected to holler loudly while chicking your Post high in the air. Those well-practised in the art catch it on the way down. The Cheltenham female isn’t afraid of mucking in with the lads on the hard stuff, but every day’s racing should start with at least one glass of fizz. Make that two, actually. It is the festival, after all. Almost sacrilege to suggest anything else, really. But if you’re going to enjoy Cheltenham fully, you should get about a bit: Guinness Village, parade ring, trackside. Riding boots make this a lot more straightforward than any kind of heel, particularly if the aforementioned fizz has gone down well. The Cheltenham Festival is almost upon us and you’re probably wondering which horses to bet on? You could pick the prettiest coloured silks, the funniest horse name, or you could follow the Racing Post experts who tipped 18 winners in 2018. With decades of experience, our experts managed to tip Gold Cup hero Native River, Summerville Boy (Supreme Hurdle) and Penhill (Stayers’ Hurdle) to name a few. Can you really afford not to follow the Racing Post Cheltenham Festival Tips? Racing Post experts Graeme Rodway, Tom Collins and Pietro Innocenzi give their best bets of the week in a Lucky 15. Pricewise is the name of the Racing Post’s phenomenally successful tipping service, a name that is feared by the bookies. Lead Pricewise tipster Tom Segal has been a household name in the racing world, renowned for his big-priced tips that move markets within hours of publication. The Pricewise tipping service is available in the daily newspaper or online to Racing Post Members’ Club subscribers. However, we are unlocking all the Cheltenham tipping previews for you to read in the build-up to the Cheltenham Festival. Although the opening day usually sees at least two or three short-priced favourites, it’s imperative not to get too carried away and see your bank depleted by the time they set off in the closing National Hunt Chase, should there be a few turn ups. We kicked off on heavy ground 12 months ago. However, on day one all seven winners were 9-1 or shorter including three favourites obliging, two second favourites and two third favourites. It’s been an unusually dry winter this time around and clerk of the course Simon Claisse is the best in the business. Thankfully, the cream always rises at the festival. This is the one week of the year when traders stick their chests out and take it back to the old school. While Best Odds Guaranteed and extra each-way places ensure that punters have never had it so good, most of the big guns get pushed out first thing each morning to attract business. Early birds and all that. Due to advanced training methods around the turn of the millenium trends got turned on their head. Time has passed by again, though, and ten-year-trends are on the comeback trail. After all, trainers are creatures of habit. The Coral Cup is just one example in which strict criteria must be met. For instance, a quick glimpse shows the more lightly-raced hurdlers with no more than four runs that season have dominated in recent times. Last year 20-1 shot Bleu Berry had just the one coming into it. It’s a big help in whittling down large fields. If you’re unable to burn the midnight oil, then don’t miss Kevin Morley’s piece each day highlighting stand-out trends. Whether you’re propping up the Guinness Bar, peering down from a box or glued to the television, some horses just can’t handle the big occasion and spoil their chances before even jumping off. On-course markets are shaped in the ten minutes leading up to each event. If you’re intent on whacking Sir Erec in the Triumph, for example, then it should be straightforward to work out your stakes and save on any dangers in an inflated market to gain some insurance. Making a profit is the prize, but not losing is the end game. When the emphasis is on stamina, age is certainly no barrier to success. 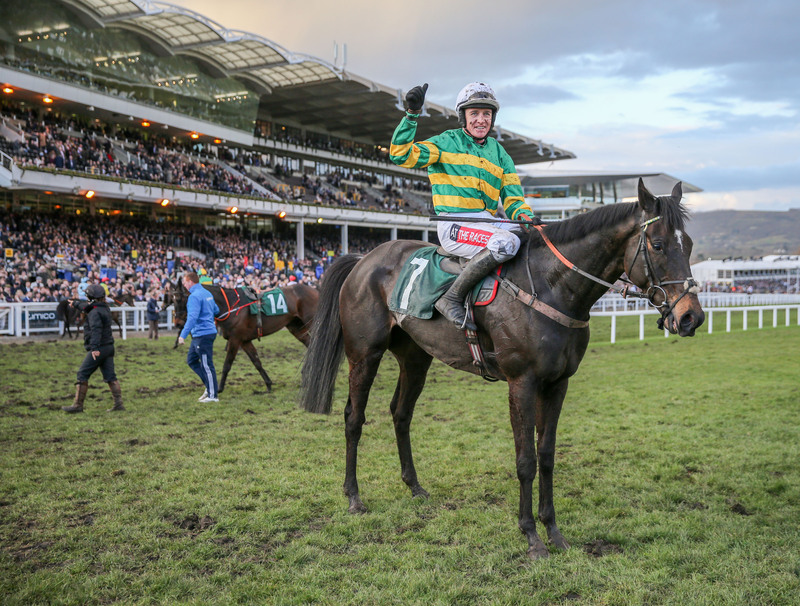 The three-mile Albert Bartlett has been won four times by horses older than seven in the past decade, while the National Hunt Chase over four miles has been won five times by runners in the same age range – Willie Mullins’ Rathvinden was a ten-year-old when taking that last year. Don’t sway from backing up your own opinion. The entire jumps season revolves around the festival and the form is all out there. There’s absolutely nothing worse than jumping off one due to overthinking things, or being afraid of a big price, only to see it hose up. Gordon Elliott has a notably strong record with juvenile hurdlers, having won the Triumph Hurdle and the Fred Winter Handicap Hurdle twice each, including both races last year. Four of his 15 runners in those races since 2013 have won, at odds of 25-1, 10-1, 33-1 and 9-1, providing a 66pts profit. Look out in the Fred Winter this year for Lethal Steps and, at bigger odds, Coko Beach. Of the 26 novice chases run at the festival run up to 3m1f since 2000, only four winners failed to finish first or second last time out. Last year three of the five handicap chases went to Nick Williams, Mick Channon and Warren Greatrex last year – all with runners priced below 10-1 and in the top three in the betting. A fancied runner from outside the big stables is always notable and possibles this year include Clondaw Castle (Tom George) and A Plus Tard (Henry de Bromhead) in the Close Brothers Novices’ Handicap Chase, Siruh Du Lac (Nick Williams) in the Stable Plate and Any Second Now (Ted Walsh) in the Kim Muir. Punters who restricted their bets to Jessica Harrington’s festival runners priced at 10-1 or lower would have had nine winners from 34 (26 per cent) for a level-stakes profit of 28.75pts. Make a note of Supasundae, who is 8-1 for the Stayers’ Hurdle, and Walk To Freedom, who could shorten from 14-1 for the Pertemps Final. The market is a good guide to Enda Bolger’s chances. Four of his eight winners started favourite and none of the eight returned bigger than 6-1 (8-24, +10.51pts with all runners at 6-1 or lower). This year he has leading fancies for two races – Stand Up And Fight, a 4-1 shot for the Foxhunter, and Auvergnat, who is 6-1 for the Cross Country Chase. 24 runners in the Ultima Handicap Chase in front of the packed stands at the Cheltenham Festival. The Cheltenham Festival is the biggest four days of the jumps season, featuring seven races a day and 28 in total. The meeting attracts the best jumps horses from Britain and Ireland. The 2019 Cheltenham Festival will take place between Tuesday, March 12 and Friday, March 15. The racing on each day begins at 1.30pm, with 40-minute intervals between each contest and the final race of each day starting at 5.30pm. Where is the Cheltenham Festival? The festival takes place on the outskirts of Cheltenham, in Gloucestershire, at Cheltenham racecourse, a venue otherwise known as Prestbury Park. The full address for Cheltenham racecourse is Evesham Road, Cheltenham, GL50 4SH. 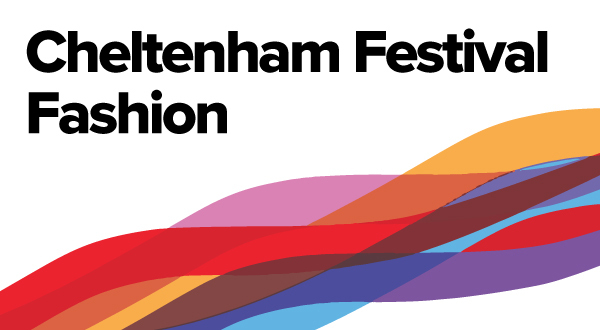 Why is the Cheltenham Festival important? Where can I watch the Cheltenham Festival? If you cannot be in attendance at Cheltenham, there are several ways to watch the Cheltenham Festival. ITV will show the first five races on each day of the meeting, and Racing TV (RTV) will show every single race from the Cheltenham Festival. You can also bet and stream the racing on the Racing Post website and mobile app. Which horses are running at the Cheltenham Festival? Most of jump racing’s superstars are set to run at the Cheltenham Festival. 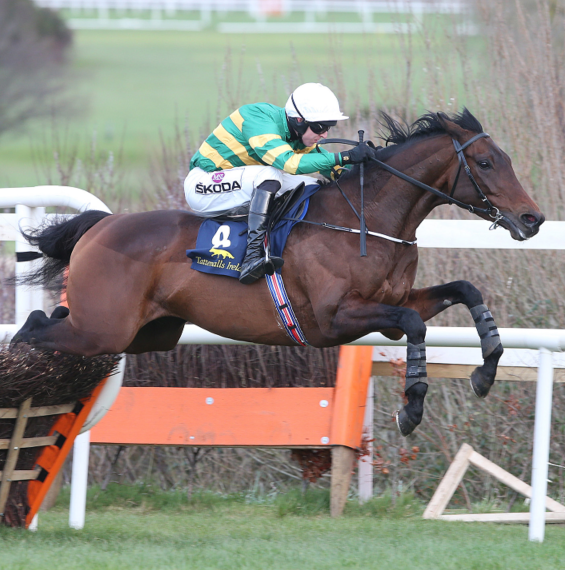 Buveur D’Air will try to win the Champion Hurdle for a third time but faces competition from Ireland, most notably Apple’s Jade and Laurina. Altior is the standout attraction on Wednesday as he tries to retain his Queen Mother Champion Chase crown. Grand National winner Tiger Roll is also set to run in the Glenfarclas Cross Country Chase, a race he won last March. Un De Sceaux and Min could be among those running in the Ryanair Chase, while later on Thursday Paisley Park, who has provided one of the stories of the season, will try to win the Stayers’ Hurdle for the first time. Faugheen, winner of the 2015 Champion Hurdle, could be among the opposition. 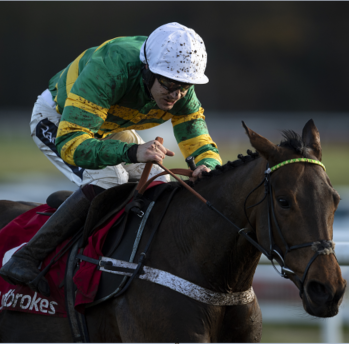 Sir Erec is considered by many to be this year’s banker at the Cheltenham Festival and he is set to run in the Triumph Hurdle on Friday. The Cheltenham Gold Cup is the big race of the final day and last year’s RSA Chase winner Presenting Percy has been favourite for most of the season. However, he faces opposition from King George VI Chase winner Clan Des Obeaux, a horse partly owned by former Manchester United manager Sir Alex Ferguson. The 2018 Gold Cup winner Native River will bid to become the first horse since Best Mate to successfully defend his Gold Cup title. Which are the biggest races at the Cheltenham Festival? The Supreme Novices’ Hurdle has a high profile due to being the first race of the meeting but also because it has a history of producing superstars. The Champion Hurdle is the feature race on day one, with the Racing Post Arkle and the Mares’ Hurdle the other Grade 1s on Tuesday. The Queen Mother Champion Chase is the feature on day two, with the RSA Chase and Ballymore Novices’ Hurdle also significant races on the Wednesday. 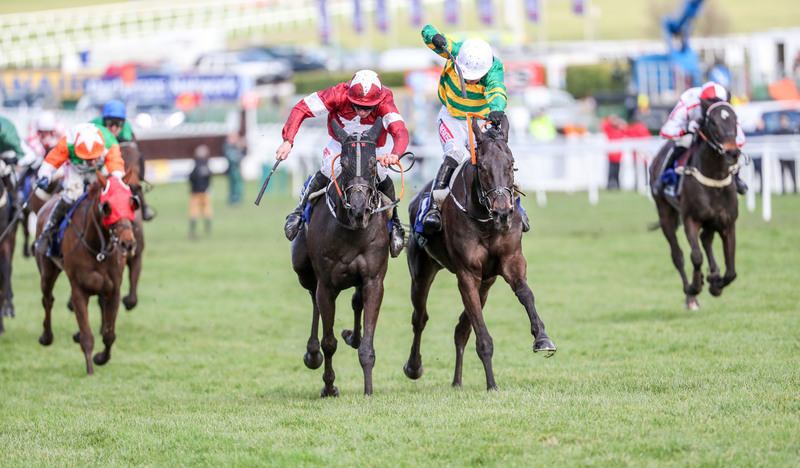 The Stayers’ Hurdle and the Ryanair Chase share the limelight on the Thursday, while the final day of the Cheltenham Festival is all about the Gold Cup, the most important and most valuable race of the entire meeting. For all the latest Cheltenham Festival news, tips, results and daily racecards, visit www.racingpost.com/cheltenham-festival. Whether you’re planning a trip to Cheltenham, thinking of betting on the Arkle, or simply interested in Gloucestershire trivia, this guide is perfect for you. 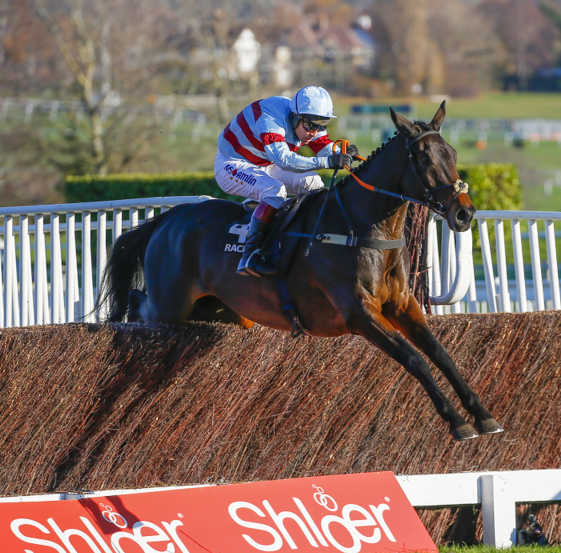 Everything from the number of spectators, historical winners, and even the weight of the Cheltenham Gold Cup itself, this guide of frequently asked questions ensures that you will make the most out of this year’s Cheltenham Festival. How many people go to the Cheltenham? 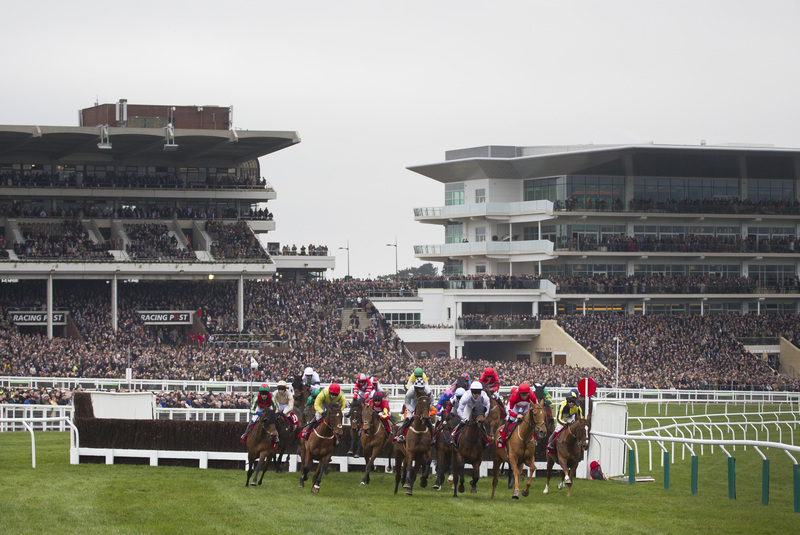 Cheltenham achieved a record attendance for the festival in 2018, with 262,637 people attending in total across the four days. Have Cheltenham races been cancelled? The Cheltenham Festival was last cancelled in its entirety in 2001 due to the foot and mouth outbreak. Does the Cheltenham festival sell out? The whole festival itself does not sell out, although attendances have been on the increase. However, Gold Cup day (the Friday of the meeting) does often sell out. The total prize-money for the 2019 Cheltenham Gold Cup is £625,000, with £351,687 set to go to the winner. Who has the most winners at Cheltenham? Irish champion trainer Willie Mullins currently has the most winners in the history of the Cheltenham Festival with 61 wins, narrowly ahead of champion trainer Nicky Henderson, who is on 60 wins. Which jockey has the most winners at Cheltenham? Ruby Walsh has had the most winners at the Cheltenham Festival. The Irish jockey has won 58 times at the festival. Is the Cheltenham gold cup a flat race? No, the Cheltenham Gold Cup is not a flat race. The Gold Cup is a jumps race run over fences over a trip of three miles and two and a half furlongs. Is the gold cup real gold? The Gold Cup is made of real gold. The original trophy weighs 644 grams of nine-carat gold and is plated in 18-carat gold to give it a rich colour. Who won the Cheltenham gold cup this year? Native River won the 2018 Cheltenham Gold Cup for trainer Colin Tizzard and jockey Richard Johnson. How much does the jockey get for winning the gold cup? Jump jockeys win somewhere between 8.5 per cent to nine per cent of winning prize-money for each race. Is the gold cup a handicap? The Gold Cup is not a handicap, it is a Grade 1 race where most horses carry level weights. What is the gold cup made of? The original trophy weighs 644 grams of nine-carat gold and is plated in 18-carat gold to give it a rich colour. When did Best Mate win the gold cup? Best Mate won the Gold Cup in 2002, 2003 and 2004. How much is the Gold Cup worth? The Gold Cup is worth £625,000 in prize-money in 2019. When was Cheltenham racecourse built? Cheltenham racecourse was moved to its current venue in Prestbury Park in 1831. How high are the fences at Cheltenham? Fences must be a minimum of four and a half metres high. Who is the top jockey at Cheltenham? Ruby Walsh is the leading jockey in the history of the Cheltenham Festival. Walsh has won 58 races at the meeting. Who won the Cheltenham 2018 Gold Cup? Native River won the 2018 Cheltenham Gold Cup. He was trained by Colin Tizzard and ridden by Richard Johnson. 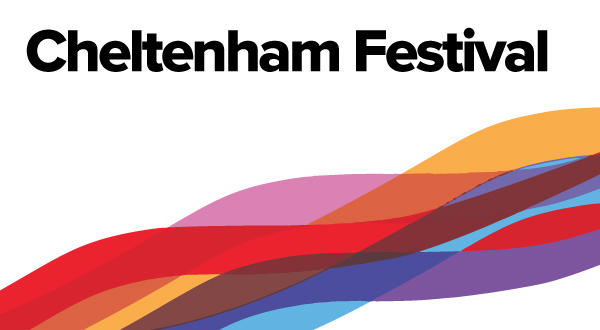 The Cheltenham Festival takes place every March. This year’s festival runs from Tuesday, March 12 to Friday, March 15. When does the Cheltenham festival start? The Cheltenham Festival starts on Tuesday, March 12 in 2019.
Who sponsors the Cheltenham festival? No one sponsors the entire meeting. However, most of the 28 races have their own sponsors, whilst the racecourse itself has its own sponsorship partners. Magners will sponsor this year’s Gold Cup. What date is the Cheltenham festival? 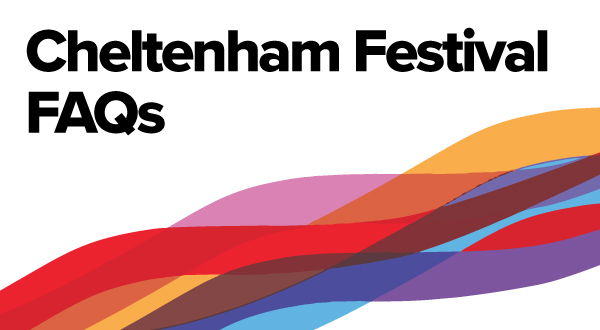 The Cheltenham Festival runs from Tuesday, March 12 to Friday, March 15. What to wear to the Cheltenham festival? As the Cheltenham Festival can take place in all sort of conditions, the course recommends racegoers dress for the weather. However, many ladies will wear hats and gentleman are advised to wear suits or dress up if they are in hospitality or the club enclosure. What channel is the Cheltenham festival on? Most of the festival will be on ITV, whilst every single race will be shown on Racing TV. The Cheltenham Festival id the four biggest days of the jump season. It consists of 28 races, seven per day, and hosts many of the season-defining, championship races. Will Cheltenham festival be cancelled? It remains unlikely that the Cheltenham Festival will be cancelled, despite the equine influenza outbreak. The last Cheltenham Festival not to go ahead was in 2001 due to the foot and mouth outbreak. Will Cheltenham festival go ahead? It should do, yes. The last Cheltenham Festival not to go ahead was in 2001 due to the foot and mouth outbreak. The Cheltenham Festival is run at Cheltenham racecourse, which can be found on the outskirts of Cheltenham, Gloucestershire. Where to watch the Cheltenham festival? Most of the Cheltenham Festival can be watched on ITV, whilst every single race will be shown on Racing TV. Is the Cheltenham festival on tv? Yes. The Cheltenham Festival will be on ITV every afternoon during the meeting and on Racing TV throughout the entire meeting. Cheltenham Festival tickets cost between £37 and £86 for the first three days of the meeting. Gold Cup day is more expensive and tickets cost between £57 and £111 on that day of the meeting. The variation in ticket prices depends on the enclosure you want to get a ticket for. How many days until the Cheltenham festival? There are 31 days until the Cheltenham Festival (9 Feb). How to watch Cheltenham festival? ITV will show the first five races on each day of the Cheltenham Festival. 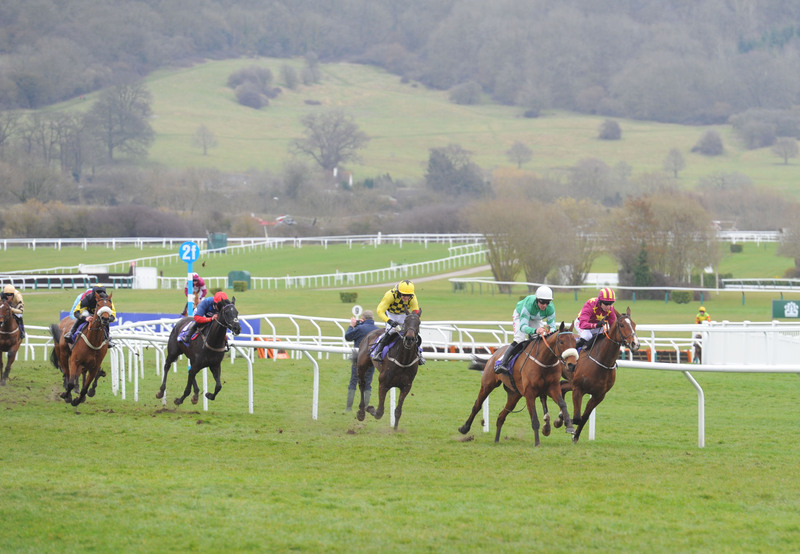 Racing TV will show all seven races from each day of the Cheltenham Festival. How many days is the Cheltenham festival? The Cheltenham Festival takes place over four days. It runs from Tuesday to Friday. How long is the Cheltenham festival? The Cheltenham Festival lasts for four days. Each day contains seven races, with racing beginning at 1.30pm and finishing at 5.30pm. How to watch the Cheltenham festival online? Most bookmakers will allow you to watch a race at Cheltenham after a small £1 bet. The ITV website and Racing TV website will also allow you to watch the racing online if you have access to those feeds. The National Hunt Challenge Cup, known as the National Hunt Chase, is a novice chase run over 4m and the longest race run at the Cheltenham Festival. It takes place at 5.30pm on the first day of the festival and is broadcasted by Racing TV [RTV]. Renowned for being a gruelling test of stamina, Tiger Roll won it before winning the Aintree Grand National the following year. Length of race – The race is run over 4m. Prize money – Last year’s race was worth £125,000. Course – The race is run on the Old course at Cheltenham. 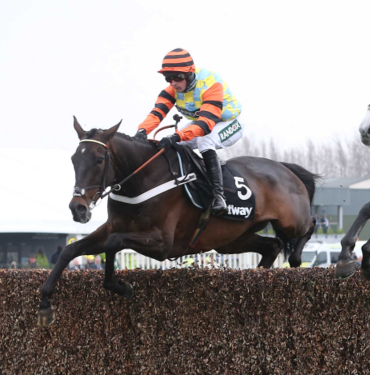 Race type – The National Hunt Chase is a Grade 2 for novice chasers only, meaning horses who have won over fences in previous seasons are unable to compete. The race is also exclusive to amateur riders, meaning professional jockeys do not take part. Weights – Most horses will run off level weights carrying 11st 6lb, mares get an allowance of 7lb. Five-year-olds also get an allowance of 2lb. Ages – Horses aged five or older can compete in the National Hunt Chase. Most runners are typically aged six or older. No amateur rider has won the National Hunt Chase more than twice since 1946. Patrick Mullins and Derek O’Connor are the two highest profile amateurs currently riding to have achieved the feat. Mullins steered Back In Focus (2013) and Rathvinden (2018) to victory and O’Connor achieved his successes on Chicago Grey (2011) and Minella Rocco (2016). Native Emperor (2004), Butler’s Cabin (2007) and most recently with Minella Rocco (2016). Many of the key trials for the National Hunt Chase tend to be run over 3m where horses shape as if needing a longer trip. The 3m Kauto Star Novices’ Chase at Kempton on Boxing Day is the first staying Grade 1 novice chase of the season and can be used as a catalyst to going up in distance. The Towton Novices’ Chase at Wetherby and the Reynoldstown Novices’ Chase at Ascot often produce National Hunt Chase contenders. The Neville Hotels Novice Chase at Leopardstown in late December is the first 3m Grade 1 of the season in Ireland. Last year’s National Hunt Chase winner Rathvinden, however, ran in the Grade 1 Flogas Novice Chase at Leopardstown over 2m5f in February and clearly relished the longer trip at Cheltenham. Rathvinden and Ms Parfois served up a pulsating battle in attritional conditions with Rathvinden gamely finding extra towards the finish to prevail by half a length. 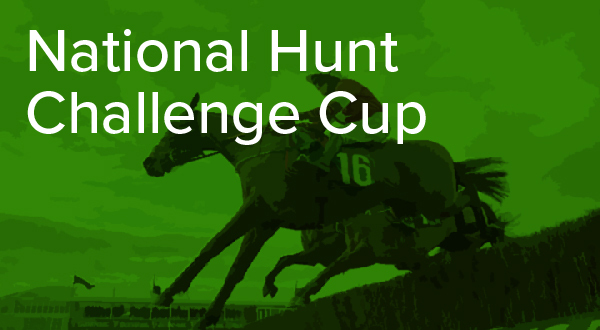 View the 2018 National Hunt Challenge Cup result and replay here. Champagne Classic’s hurdle form from a couple of seasons ago is exceptional, with scalps including Penhill, Presenting Percy and Monalee. He suffered a setback last season but has been eased back to a novice chase campaign and I’d imagine Gordon Elliott has left plenty to work with in the build-up to this. Jamie Codd would be the ideal booking and he looks to have an excellent chance of reversing the form of two starts ago with Ballyward. The Betway Queen Mother Champion Chase is one of four Championship races held at the Cheltenham Festival, taking place on Wednesday. March 13 at 3.30. The two-mile race has a rich history and is the pinnacle race on Ladies’ Day of the festival. Winners in previous renewals include the great Master Minded, Big Zeb and the outstanding Sprinter Sacre. Sprinter Sacre returning from injury to win the 2016 Champion Chase, three years since his last victory, was one of the greatest moments in Cheltenham Festival history. Length of race – The race is run over 2m. When to watch – Wednesday 13 March at 3.30pm. Prize money – Last year’s race was worth £400,000. 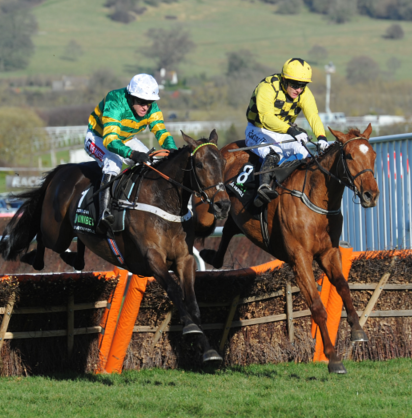 Race type – The Champion Chase is a Grade 1 contest open to five-year-old horses and older. Weights – All horses, bar mares, carry 11st 10lb. Mares get a 7lb allowance as they do in every other Grade 1. Ages – Horses aged five and older are eligible. 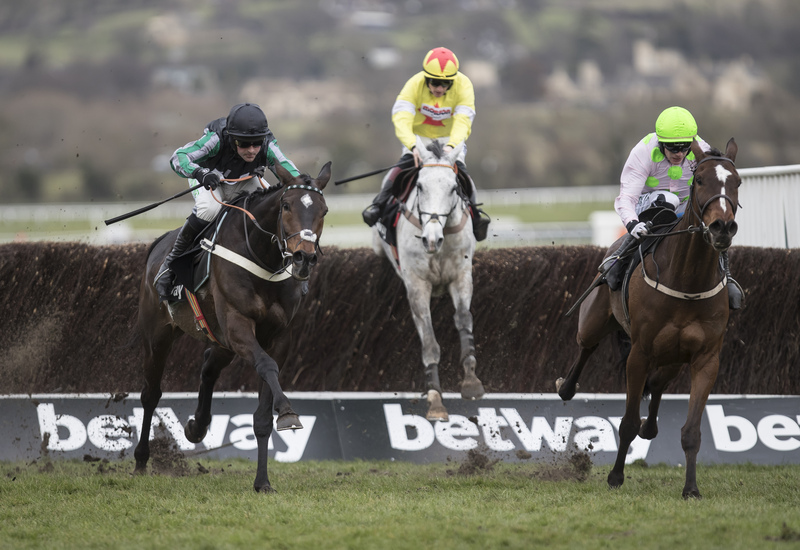 Sponsor – Betway have sponsored the Champion Chase since 2015. Pat Taaffe won the race on five occasions with Fortria (1960, 1961), Ben Stack (1964), Flyingbolt (1966) and Straight Fort (1970). Barry Geraghty shares the jockey record in the race with Taafe having won on Moscow Flyer (2003, 2005), Big Zeb (2010), Finian’s Rainbow (2012) and Sprinter Sacre (2013). Tom Dreaper is the top trainer in the history of the Champion Chase with six winners: Fortria (1960, 1961), Ben Stack (1964), Flyingbolt (1966), Muir (1969) and Straight Fort (1970). Ascot’s Grade 1 Clarence House Chase is one of the leading trials for the Champion Chase. In recent years, Master Minded (2009), Sprinter Sacre (2013), Sire de Grugy (2014) and Dodging Bullets (2015) all won at Ascot before winning at the Cheltenham Festival. Newbury’s Game Spirit Chase is another key trial for the Festival. Run in February, the Grade 2 contest was won by Altior who subsequently took the Champion Chase crown. Other trials earlier in the season include Kempton’s Desert Orchid Chase and Sandown’s Tingle Creek. In Ireland, the Paddy’s Reward Club “Sugar Paddy” Chase, formerly known as the Dial-A-Bet chase, is a key trial staged in December. 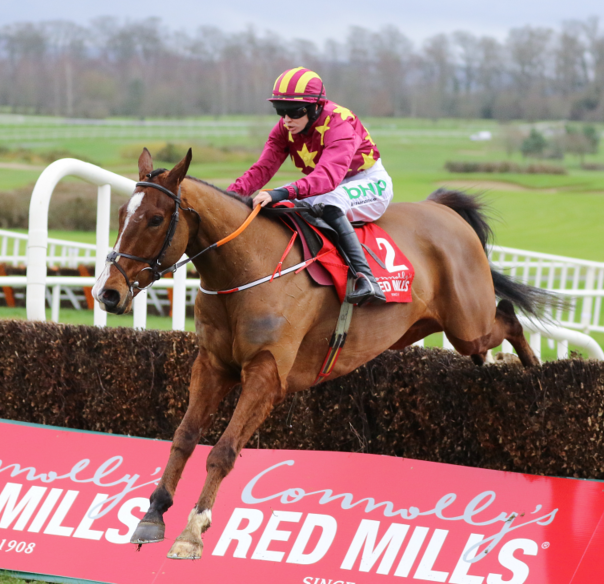 The John Durkan Memorial Punchestown Chase is also an important race in the build up to the Cheltenham Festival held earlier in the season, while the Dublin Chase is a relatively new addition the two-mile pattern. In one of the races of the festival, Altior produced a typically flamboyant turn of foot to quicken away from Min on the run-in for an outstanding seven length win. 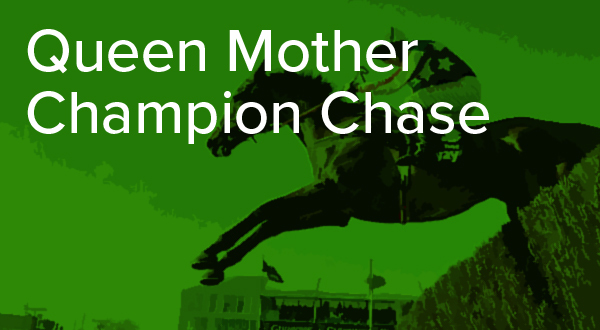 View the 2018 Queen Mother Champion Chase race result and replay here. 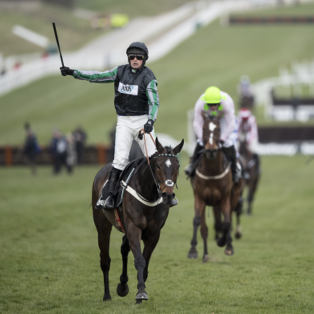 Altior has looked as good as ever this season and is very much the one to beat as he bids to win at the Cheltenham Festival for the fourth successive season. He’s never had to face last year’s Arkle winner Footpad, however, and the young pretender could be a touch overpriced at around 8-1, especially as such odds open an each-way avenue. Castlegrace Paddy may be able to come from off the pace and sneak a place at a big price. 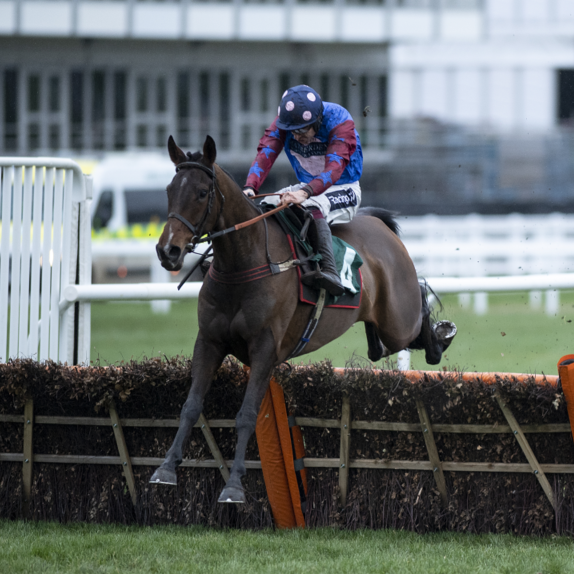 The Pertemps Network Final Handicap Hurdle takes place at 2.10pm on Day 3 (Thursday) of the Cheltenham Festival and serves as the final for the 21 qualifying races that are run throughout the jump season prior to the festival. The race has traditionally been something of a stepping stone for younger horses who go on to greater heights over fences. In recent years the likes of Presenting Percy and Delta Work won the race en route to excellent novice chase campaigns the following season. When to watch – Thursday, March 14 at 2.10pm. Prize money – Last year’s race was worth £95,000. 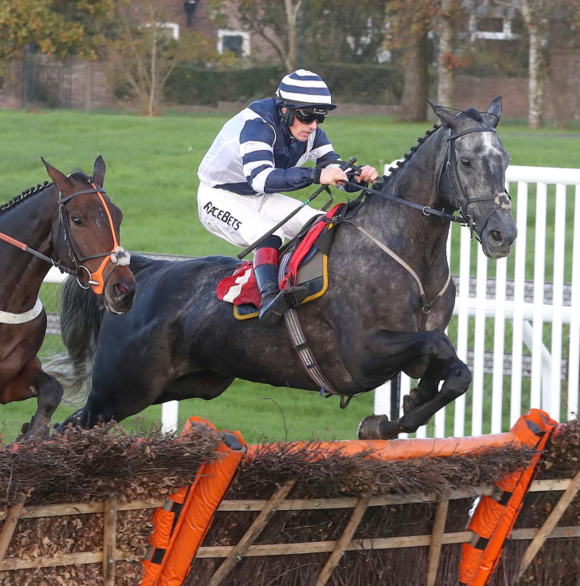 Race type – The Pertemps Network Final Handicap Hurdle is a Grade 3 handicap hurdle open to horses that finish in the first six in one of the eight qualifying races run throughout the season before the festival. The race is open to mares as well as geldings. Weights – As the race is a handicap, horses carry a weight that is representative of their handicap mark. Runners can carry a penalty for any wins after the weights are published. 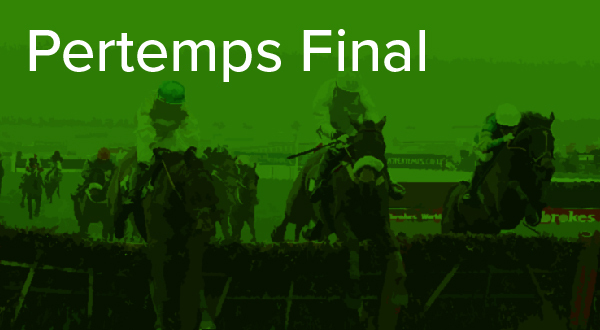 Ages – Horses aged five and older can compete in the Pertemps Network Final Handicap Hurdle. Sponsor – The Pertemps Network Group have sponsored the race since 2002. Two jockeys have recorded three victories in the Pertemps Network Final Handicap Hurdle. Jim Wilson won the race three years in a row with Willie Wumpkins (1979, 1980 and 1981) – the only horse to win the race three times. Davy Russell has won the last three renewals courtesy of Mall Dini (2016), Presenting Percy (2017) and Delta Work (2018). Jonjo O’Neill is the leading trainer in the race having won it on four occasions. The first came courtesy of Danny Connors in 1991 and was followed by Inching Closer (2003), Creon (2004) and Holywell (2013). Every horse running in the Pertemps Final has to finish in the first six in one of 21 qualifiers, all of which are run as handicaps between late October and late February. 14 of the qualifiers are run at British courses, with two run in Ireland and five in France. Delta Work travelled powerfully in mid-division throughout and took up the running after the final flight. He was made to fight all the way to the line by stablemate Glenloe, eventually prevailing by a nose. View the 2018 Pertemps Network Final Handicap Hurdle result and replay here. Favourite on all four starts this season, it’s the form of First Assignment’s race at Haydock, when appearing quickly under a penalty, that catches the eye. Sent off 11-10 to beat a field including Paisley Park, he understandably succumbed to the subsequent Grade 1 winner and finished third. In between that pair was Shades Of Midnight who went on to win the Rendlesham. He may not be thrown in on 142, but is unbeaten in two starts at Cheltenham and could have more to offer. The Martin Pipe Conditional Jockeys’ Handicap Hurdle takes place at 5.30 on the final day of the Cheltenham Festival. The race will be broadcast on Racing TV [RTV]. The event was established in 2009 and is named in honour of Martin Pipe, a 15-time champion trainer who retired in 2006 with 34 victories at the festival. Length of race – The race is run over 2m41/2f. Where to watch – RTV. When to watch – Friday, March 15 at 5.30pm. Prize money – Last year’s race was worth £70,000. Race type – The Martin Pipe is a hurdle race for conditional jockeys open to horses rated 0-145 and aged four years or older. 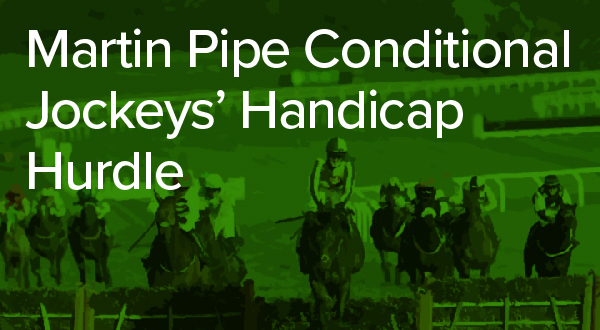 Weights – The race conditions of the Martin Pipe were altered by the BHA to remove all rider weight-claiming allowances in an attempt to encourage connections to use more experienced jockeys. Ages – The race is open to horses four-years-old and up. Most horses are typically over five-years-old. No jockey has won the Martin Pipe Handicap Hurdle more than once. The leading trainer in the race is Willie Mullins – he won the handicap with Sir Des Champs (2011), Don Poli (2014) and Kilultagh Vic (2015). Irish runners have a good record in this race. The last four Irish winners were all novices and all contested a Graded race earlier in the season. The last two winners, Blow By Blow and Champagne Classic, contested the Grade 3 Michael Purcell Memorial Novice Hurdle at Thurles in February. Blow By Blow was ridden out to beat Discorama by five lengths for trainer Gordon Elliott. View the 2018 Martin Pipe Handicap Hurdle race result and replay here. 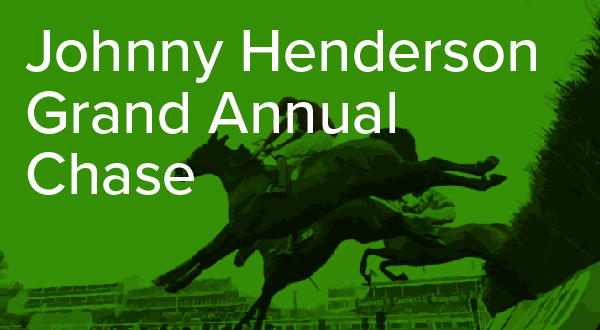 The Johnny Henderson Grand Annual Chase is the penultimate race of the Cheltenham Festival and takes place at 4.50pm on Day 4 (Friday). The race will be broadcast on Racing TV (RTV). It is the second last of the 28 races during the meeting. The race is often run at a fierce gallop and attracts two-mile specialists. Only two horses, Top Twenty and Dulwich, have won the race twice. Length of race – The race is run over 2m½f. When to watch – Friday, March 15 at 4.50pm. Prize money – Last year’s race was worth £110,000. Race type – The Johnny Henderson Grand Annual Chase is a Grade 3 handicap chase for horses who are high enough in the handicap to compete. The race used to have a maximum field of 24 runners but that has been reduced to 20 runners this year. Weights – Weights are allotted in relation to each horse’s individual handicap mark, with penalties accrued for wins after the weights are initially published several weeks before the race. No horse carries more than 11st 12lb. Ages – Horses aged five and older are eligible to run in the Grand Annual. Sponsor – The name of Johnny Henderson, a banker and racehorse owner, was added to the race’s title in 2005. Graham Bradley is the leading jockey in the history of the Grand Annual. His wins came aboard Pearlyman (1986), My Young Man (1992), Sound Reveille (1995) and Uncle Ernie (1997). Paul Nicholls is the leading trainer in the history of the race, also with four wins. The Ditcheat trainer’s wins came with St Pirran (2004), Andreas (2007), Solar Impulse (2016) and Le Prezien (2018). The Grand Annual is run at a frenetic pace and therefore horses who have previous experience of two-mile handicap chases tend to be suited by the test. The last seven British-trained winners had all ran in a two-mile chase at Cheltenham earlier in the season at some point. The last Irish-trained winner, Rock The World, had also contested a two-mile chase at Cheltenham earlier in the season, while the Dan Moore Handicap Chase at Fairyhouse is a likely stepping point for runners trained in Ireland. Le Prezien powered home in an incident-packed race to justify Barry Geraghty’s choice to ride the Paul Nicholls-trained seven-year-old. View the 2018 Grand Annual Chase result and replay here. Ben Haslam has been enjoying a fine spell on the Flat and over jumps for quite some time now and Bouvreuil can put up a bold show. The eight-year-old has three excellent festival efforts to his name for Paul Nicholls and will be well suited to the fast-run demands of this race. Nicholls has a good record in the 2m½f contest and in the five-year-old Magic Saint he has a progressive, unexposed candidate. Valdez has been showing signs he may be on the way back. The RSA Chase takes place at 2.10pm on the second day of the meeting and is considered the leading race for staying novice chasers. The race will be broadcast on ITV Racing and Racing TV. The 3m½f contest has been won by the likes of Denman, Bobs Worth and Lord Windermere who have all gone on to land the Cheltenham Gold Cup in recent years. Length of race – The race is run over 3m½f. When to watch – Wednesday, March 13 at 2.10pm. Prize money – Last year’s race was worth £175,000. 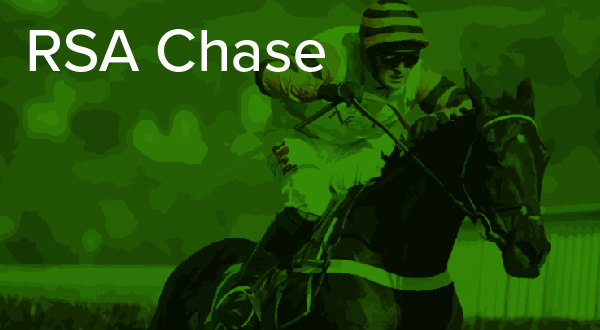 Race type – The RSA Chase is a Grade 1 for novice chasers. Mares can participate if connections wish. Weights – Most horses will run off level weights carrying 11st 7lb, while mares get a 7lb allowance. Four-year-olds get an 8lb allowance. Ages – Horses aged five and over can compete in the RSA Chase. Sponsor – RSA Insurance have sponsored the race since 2009. Pat Taaffe is the leading jockey in the history of the race with five victories. Those wins came on Coneyburrow (1953), Solfen (1960), Grallagh Cnoc (1961), Arkle (1963) and Proud Tarquin (1970). Willie Mullins and Fulke Walwyn are the joint leading trainers in the race with four wins apiece. Walwyn won it with Mountain Prince (1948), On View (1951), Glenbeigh (1954) and Mandarin (1957), while Mullins was victorious with Florida Pearl (1998), Rule Supreme (2004), Cooldine (2009) and Don Poli (2015). For British-trained RSA candidates, the Grade 2 Ladbrokes John Francome Novices’ Chase at Newbury in December is a key first trial, while the Grade 1 Kauto Star Novices’ Chase on Boxing Day at Kempton is usually a good indicator for Cheltenham credentials. The Grade 2 Sodexo Reynoldstown Novices’ Chase at Ascot is another contest that has been used as a stepping stone for candidates ahead of the RSA Chase. 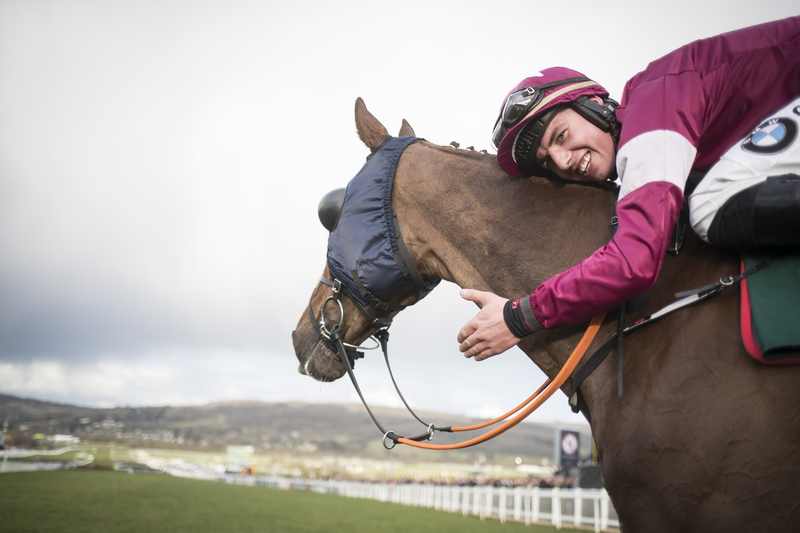 In Ireland, the Neville Hotels Novice Chase is a well-used trial for the RSA, and was won by Don Poli in 2014. 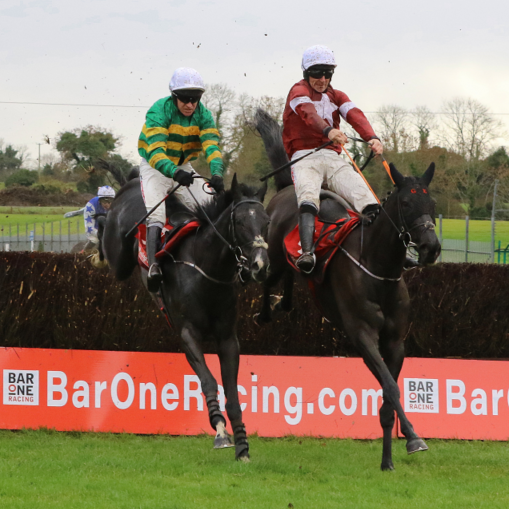 The Grade 1 Flogas Novice Chase at the Dublin Racing Festival has been used as a stepping stone en route to victory at Cheltenham by the likes of Florida Pearl and Cooldine. Presenting Percy, sent off the 5-2 favourite for trainer Pat Kelly, won impressively by seven lengths from Grade 1 scorer Monalee and subsequent Welsh Grand National victor Elegant Escape. View the RSA Chase result and replay here. Gordon Elliott was hot on Delta Work coming into this season and the gelding is three from three. I’m not convinced he’s an absolute world-beater but he’s very clever over his fences and he won the Pertemps last year, so ticks plenty of boxes. On ability alone Santini has every chance and he’ll be well suited to the track, while Topofthegame has all the potential in the world, but he needs to mature.